JUDY WOODRUFF: Finally, a conversation about education reform and some of its shortfalls. It is the subject of a new book by a familiar face, who joins Jeffrey Brown for tonight’s Making the Grade. JEFFREY BROWN: For close to two decades now, or even longer, depending on your perspective, education reform has been on the agenda of Democrats and Republicans alike, school leaders around the country and major philanthropists who have influenced the debate. It’s all led to big changes, new laws and programs, tougher requirements and additional funding, lots more testing, and occasional school closings and teacher layoffs. But what has it all brought? And, first, hello again, John. JOHN MERROW, Author, “Addicted to Reform: A 12-Step Program to Rescue Public Education”: Nice to see you, Jeff. JEFFREY BROWN: Nice to see you. Addicted to reform means what? JOHN MERROW: Well, reform are attempts at changing that really don’t change things. What I’m saying is, for many, many years now, we have been tackling small problems which are really symptoms, not the real issues. I can give you a quick example. JOHN MERROW: The Obama administration focus was on raising graduation rates, to get it from 70 percent way up. Four things happened. One was good. People came in and tutored. They identified failing kids. They gave them help. And those kids did well. Three other things happened, all of which were bad. One was credit recovery, which is basically a computer scam. You sit in front of a computer for a week and you get a semester’s credit. And almost every school district in the country relied heavily on computer — on credit recovery to get kids to graduate. The second thing that happened, schools, officials would say, Jeff, I think you could do well if you got a GED. Why don’t — you don’t have to — just go get a GED. And so you or I, not doing well, would be helped out the door. We wouldn’t be dropouts. But the graduation rate would go up, because I’m gone, but the school wouldn’t see that I did the GED. The third bad thing, adults cheated. They gave kids answers. They had erasure parties, all to get kids over the bar. JOHN MERROW: That’s a superficial reform, because the problem wasn’t graduation rate. The problem was much deeper. JEFFREY BROWN: I mentioned Republicans, Democrats alike, so many different players involved in this. And I was wondering, as I was looking at the book, is it even agreed upon what we’re after anymore? Do people kind of go back to first principles like that? Do we know what we’re trying to do? JOHN MERROW: No, we don’t have that conversation. We needed that conversation. And I thought Barack Obama would lead us down that road, but it didn’t happen. I mean, look, the fundamental purpose of school is to help grow adults. And if you look at the three words, help is — it’s a team effort. And grow, it’s a process. You can’t just take a test score and say we’re done. And then adults, that’s the key issue. What do we want adults to be — what do we want our kids to be capable of doing as adults? Fill in bubbles or engage in debate and so on and so forth? JEFFREY BROWN: So, take one big issue that you have covered a lot, testing, right? It does look as though there’s been some — even some of the people who have been pushing that over the years, the Gates Foundation, Arne Duncan, the former secretary, they’re perhaps stepping back a little bit, or feeling like perhaps it was overemphasized? JEFFREY BROWN: What do you see there? JOHN MERROW: I think they have pulled back little bit, but nowhere near enough. We’re still basically the only country in the world that says let’s use test scores to judge teachers. Most countries test kids to see how the kids are doing. So, we have a kind of test and punish. What we should do is assess to improve. JEFFREY BROWN: You have got 12 prescriptions, which we can’t go through all of them. But what is the main idea? JOHN MERROW: It’s a paradigm shift. Right now, schools — we think of school, where the teacher is the worker and the kid, the student, is the product. I’m saying, no, no, no, students are the workers, and knowledge is the product, which means they will work on real projects, they will work — they will create knowledge. They will learn, figure out stuff that they don’t know, that the teacher may not even know the answer to. The second goes back to Aristotle. And I’m not an original thinker. I have stolen a lot from Maria Montessori and Aristotle and so on. JEFFREY BROWN: Well, stealing from Aristotle is allowed, right? JOHN MERROW: But we are what we repeatedly do. Excellence, then, is not an act, but a habit. So, what do our kids repeated do in school? Well, in an awful lot of poor schools, kids do test prep. But if kids are actually the workers, creating knowledge, that’s what they — and they repeatedly do that, they will be ready for life in a democracy. They will be ready to be workers, to participate, be good citizens. JEFFREY BROWN: But how practical is that? That sounds great, but how do you do it economically strapped schools? JOHN MERROW: I don’t think this will cost more money. I think a judicious use of technology will help. I think there are 100 schools doing this. We have 10,000 schools — 100,000 schools. So, we have a long way to go. But it’s not going to be easy. But there are 12 steps. You have to acknowledge that these reform efforts have been superficial. You have to say — look at each kid and say, how is this child smart? What can we do to bring out that kid’s strengths? We have to measure what matters. JEFFREY BROWN: Let me just ask you finally a more personal question, because you covered these things for so long. Right? So when you went back to look, are these things that — these are things you were feeling at the time? Did you — did it kind of bubble up for you to look at, you know, I want to now take a big-picture look at all the problems I have seen? JOHN MERROW: I think it bubbled up toward the end of, you know, the 41 years, most of which were with you guys. 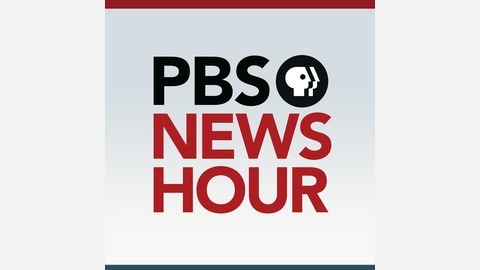 JOHN MERROW: I don’t think I — I was committed to hearing everybody, and giving everybody — even if I had had strong feelings, the “NewsHour” would never have let me put them on the air. But I don’t think I really had them until I started toward the end thinking about all the marvelous people who have worked so hard to try to change things, and then seeing things had not really hadn’t changed. Why was that? And then I started analyzing, well, maybe we’re just going at superficial problems, you know, raising test scores. That shouldn’t be the end of schooling. JOHN MERROW: You know, people talk about the achievement gap. Well, first, we should say, wait a minute, there’s an expectations gap. There is also an opportunity gap. If you close those two gaps, the outcomes will take care of themselves. John Merrow, thanks very much. JOHN MERROW: Thank you very much, Jeff. 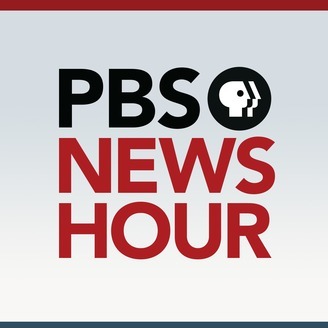 The post Why education reform keeps failing students appeared first on PBS NewsHour.